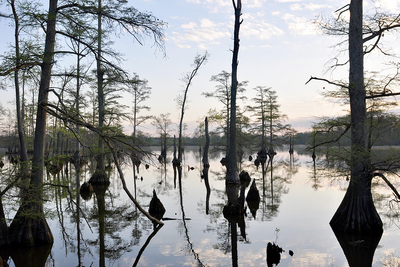 A cypress swamp near Snake Road in the Shawnee National Forest, near Harrisburg, Illinois. 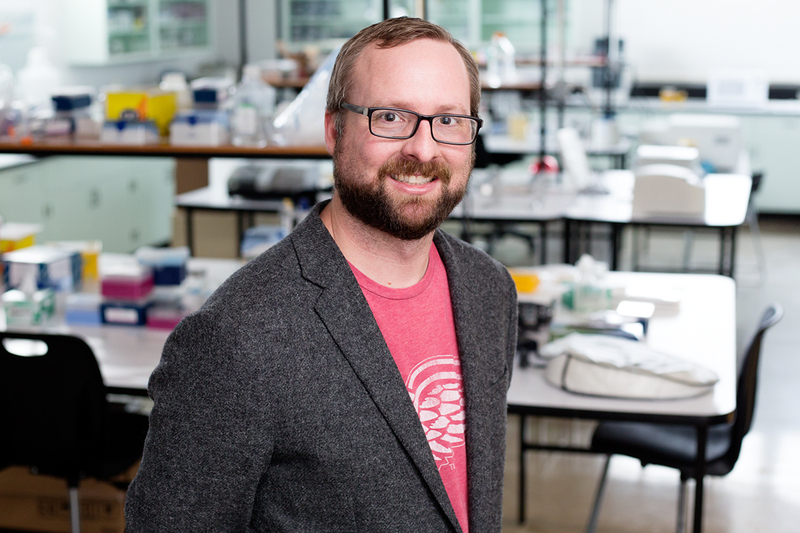 Illinois Natural History Survey conservation biologist Mark Davis hopes treks to see snakes, frogs, salamanders and other creatures in the wild will instill in his students a commitment to work for conservation. 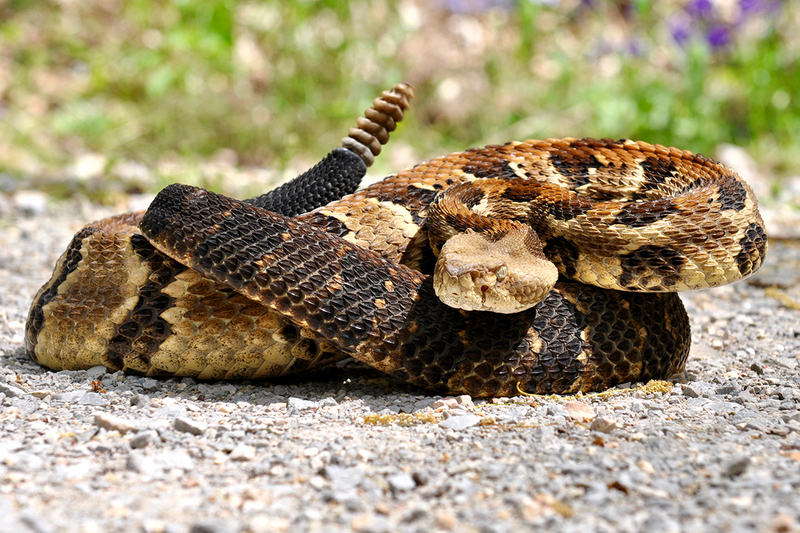 Beneath the monolithic limestone bluffs that tower over Snake Road, this timber rattlesnake awoke from his winter slumber, left his upland sanctuary and descended toward his summer territory. In search of food and mates, this snake also must survive a gauntlet of threats, most notably death at the hands of humans who don’t see the intrinsic value these animals hold or understand the benefits they provide us (like pest control and medicines derived from their venom). Davis and his herpetology students found this timber rattlesnake on their field trip to Snake Road. Fortunately for this fantastic beast, the U.S. Forest Service and the Illinois Department of Natural Resources close Snake Road to all but foot traffic for two months in spring and two months in autumn. Home to the most diverse assemblage of amphibians in all of Illinois, Snake Road is the suture between northern and southern species groups. My co-instructor, Matthew Niemiller, graduate teaching assistant Ethan Kessler and students are here to try and see them all. 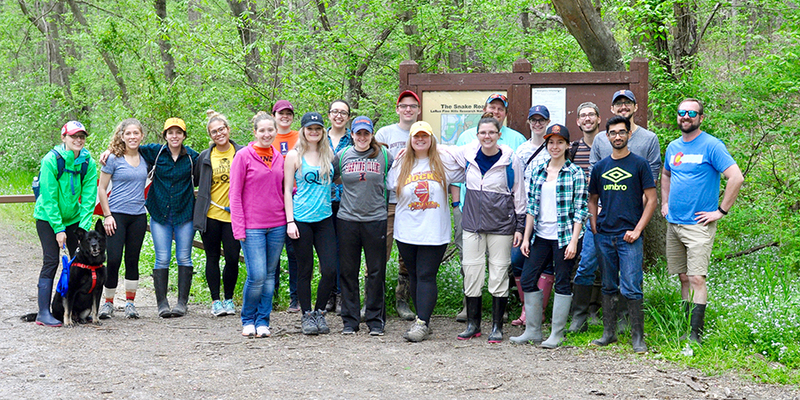 Mark Davis, right, with colleagues and students in his integrative biology herpetology class. 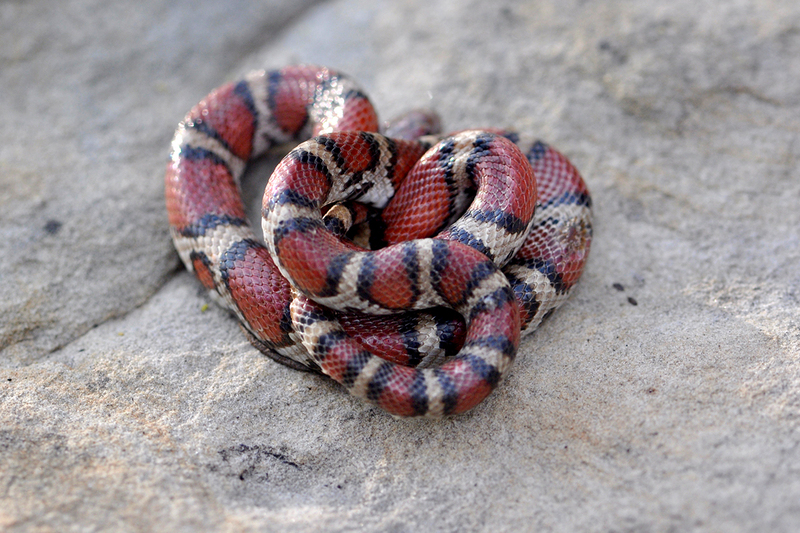 Illinois herpetology students also saw a milk snake afflicted with snake fungal disease. 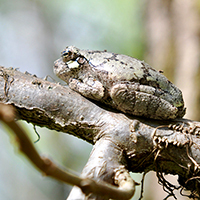 In less than 48 hours, we’ve seen 38 species of amphibians and reptiles. 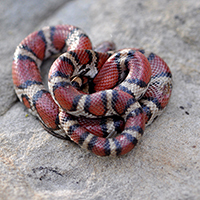 These include all three species of venomous pit vipers (timber rattlesnake, copperhead and cottonmouth); three tree frogs (bird-voiced, Cope’s gray and green); many salamanders; and a milk snake with snake fungal disease. For many people, this remarkable diversity goes unseen. But getting a glimpse of any of these creatures in person can leave an indelible mark upon a person. I stop clicking the shutter, prop my elbows on some rocks, and again gaze at the snake. I am flooded with memories of my own undergraduate herpetology field trip in North Dakota. On that trip, nearly two decades ago, I shared a similar moment with a prairie rattlesnake. That experience, and the example of my mentor, Jim Grier, inspired me to become a conservation biologist. 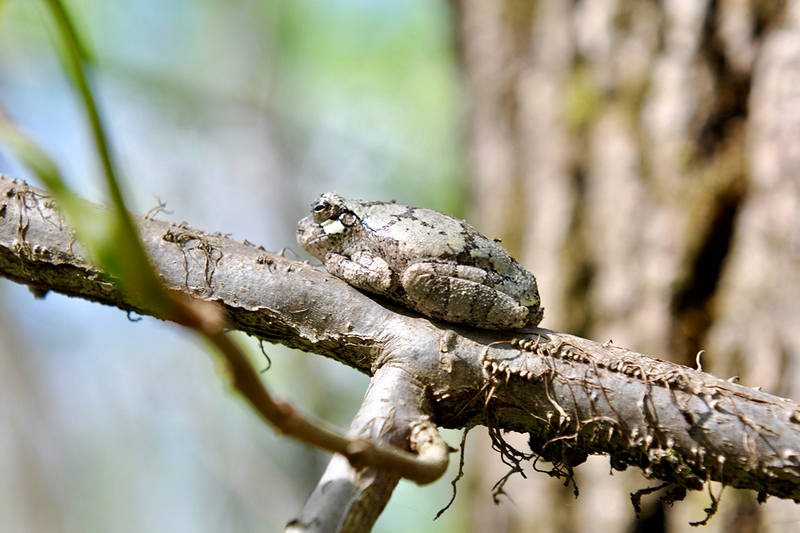 The group saw three species of frogs on their trek, including this bird-voiced tree frog basking in the spring sun on Snake Road. I am overcome, ever aware of the threats these animals face and fearful of a future in which they are gone, no longer present to fascinate students. But more than anything, I am hopeful that this experience has inspired these students, stirring in them the resolve to make a place in the future for these animals. 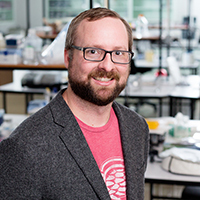 Mark Davis is a conservation biologist with the Illinois Natural History Survey at the Prairie Research Institute at Illinois.